larger audience with their books and stories. 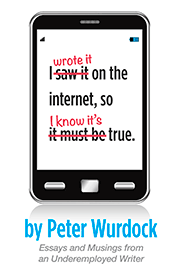 Inspired by today’s constant stream of fake news and erroneous information found on social media, Michigan author Peter Wurdock has taken matters into his own hands with his new book I WROTE IT ON THE INTERNET SO I KNOW IT’S TRUE. In this new book (his sixth) readers are treated to over a generous helping of what he labels “Essays and musings from an underemployed writer.” His subjects are whimsical, informative, interesting and serious. 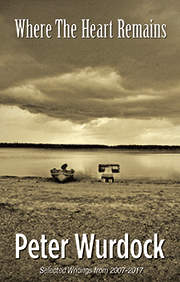 The book has a focus on people, places and things in Michigan. “Where the Heart Remains,” is a collection of selected fiction and nonfiction from his first five books released between 2007-2017. These are available as EBooks only. Click image for ordering information.